Maybe I’m wrong, but I really think chilled soup is underrated. I can probably count on one hand the number of times I’ve had it in my life, but each time I’ve enjoyed every single bite. 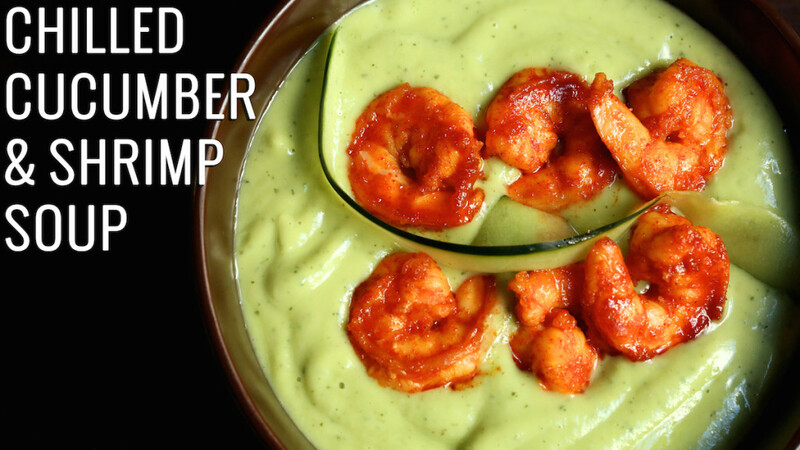 This Chilled Avocado & Shrimp Soup has a flavor that is greater than the sum of its parts. On its own, the soup puree is tasty, but not complex. However, when you take a bite with shrimp and the soup, your taste buds light up like a pinball machine! Place all of the soup ingredients into your blender or food processor (I used this one). Puree until smooth. If you think the soup is too thick, add a little more cold water. Put soup in an airtight container and place in the fridge until ready to serve. To prepare the shrimp, combine all the ingredients into bowl. Whisk together. 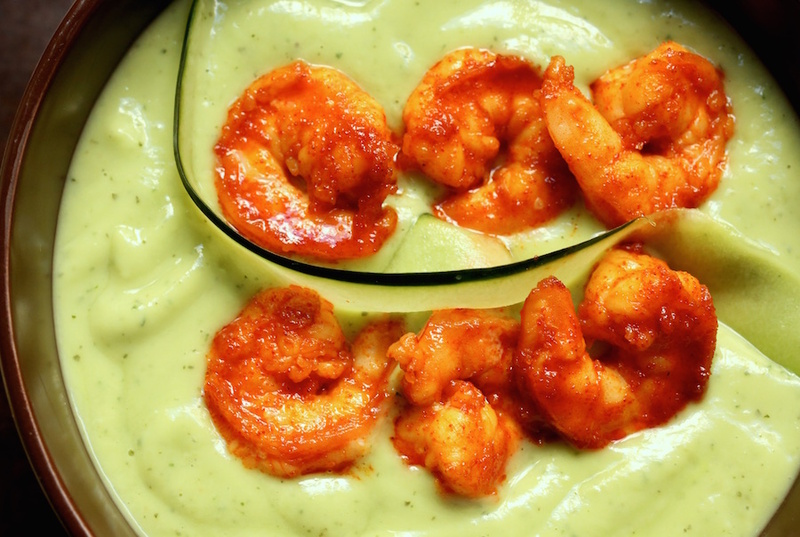 Add your shrimp and toss to coat. 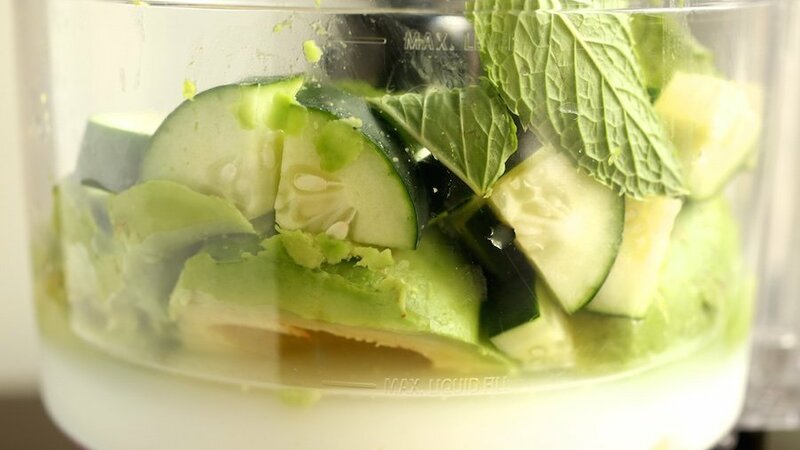 Let marinate 10-20 minutes. 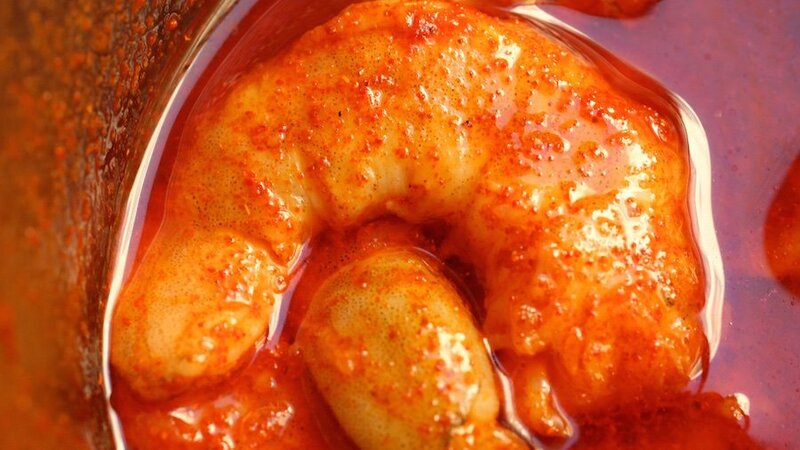 Once the shrimp are marinated, heat a large non-stick pan over high heat. Add shrimp and cook about 2 minutes on each side. Set aside. Divide the soup between 4 bowls. Add shrimp to the top. If desired, cut a cucumber ribbon with a vegetable peeler and place between shrimp. Wow that looks so great. My son hates avocados, but loves shrimps. Will definitely try out this dish for him.